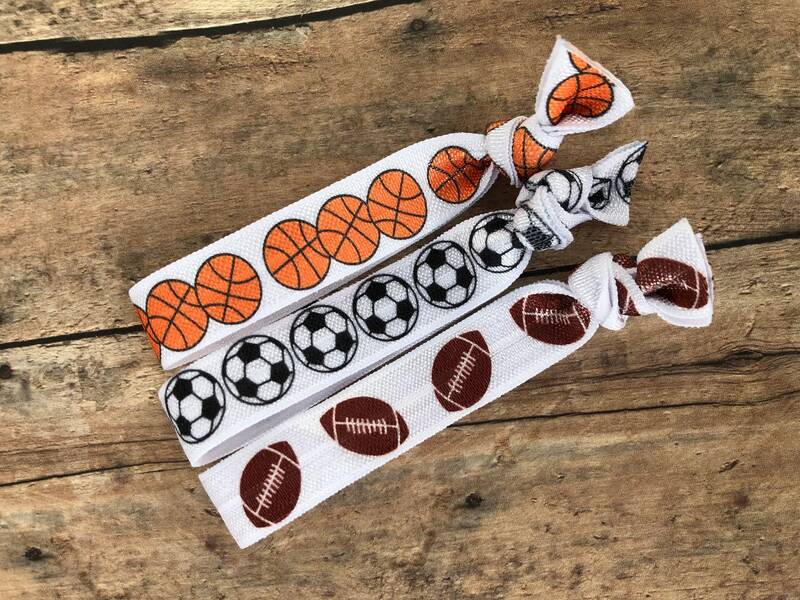 This set of 3 sports elastic hair ties, ponytail holders are adorable for all ages. Handmade with high quality 5/7" fold over elastic. 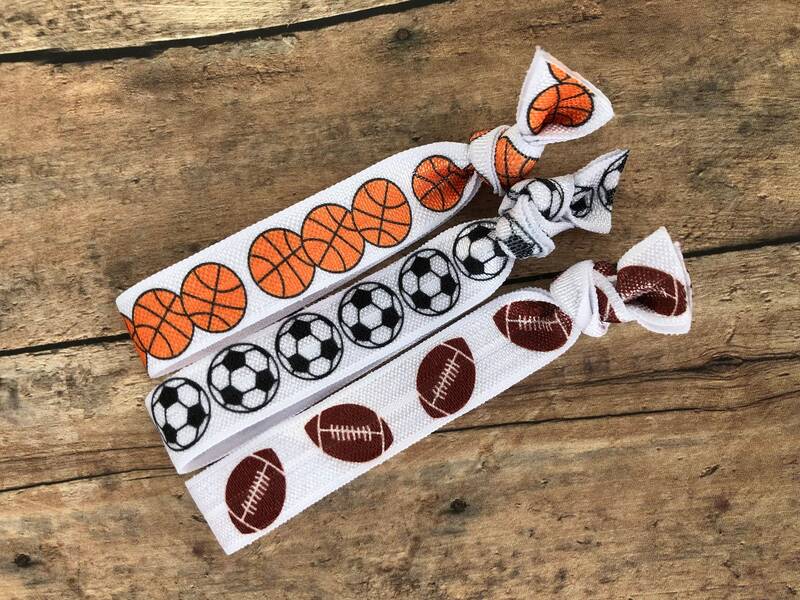 Set includes basketball, soccer and football hair ties.